This month I gave a speech at the Photographic Society national conference. I chose to talk about how photography can add to an exceptional life. Partly I talked about how I’ve learnt that serendipity is a very important index to monitor in life and business. True to form a nice bit of coincidence appeared while researching my speech. It’s this that I want to tell you about, and why I’ve found it so vital to have. What is serendipity? I know it’s fortuitous coincidence, but what is it really? And why do some people have more of it than others? I’m very interested. 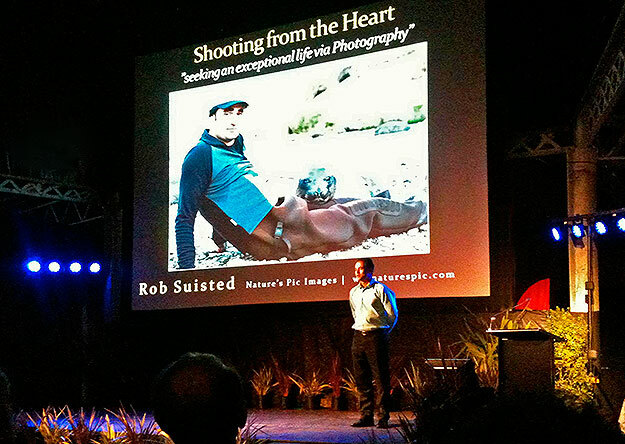 My speech was titled: ‘Shooting from the Heart – seeking an exceptional life via photography’. Of course, photography is my income, but it pays me richly in many better ways; I’ve been lucky to meet some amazing people, wildlife, visit some special places, and share great experiences so far in my life. The ‘juice of life’ is what I call it now, and it’s something that should ideally be enjoyed and sought in a pure sense, not driven by necessity or ego. I’ve found that the more I try to discover this in a pure sense, without selfish interest, the more serendipity or coincidence appears. It might sound a bit flaky or woolly perhaps, but I can assure you that there is a sensible reason for it, and here in lies what I have learnt so far, and wish to share. Creative professionals know that creativity comes from an open still mind. A mind that contains stress or fears becomes closed and creativity suffers. Same with opportunity, same with serendipity. I think that we all have similar portions of coincidence in our lives, but an open mind simply sees more of it. I have the confidence now to use serendipity as a powerful defacto indicator that my mind is more open, and therefore probably more receptive to opportunity and creativity. Make sense? Watch out for it and tell me what you think. Does it happen to you also? I’m very keen to know more. Mark Carwardine and Stephen Fry had the classic ‘encounter’ with a frustrated male Kakapo bird which has since become gold on YouTube. 1.7 million views last count (see video below). 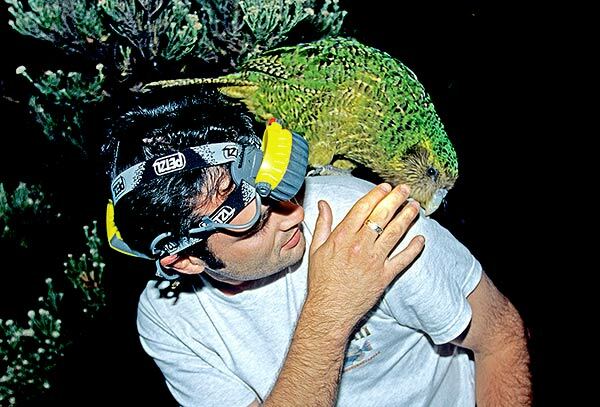 Rob Suisted being Kakapo’d by an over enthusiatic ‘Trevor’ on Maud Island. Photo by Don Merton. Kakapo are one of the rarest birds on earth (123 birds), the heaviest parrot, the only nocturnal one, and a Lek breeder. Remarkable experiences. Conflicting demands. How to make the most of them & life? I’m lucky in my life, and work, to see and experience some remarkable things. The trick is not to take this for granted. It’s easier said than done when the object of the experience usually must be shot with camera. There are fundamentally opposing demands here and I want to explain a solution I’ve found to this problem…. You're browsing entries tagged with philosophy at Nature’s Pic Images Blog.